I was the innocent bystander yesterday while visiting Portland. Through a series of live meetings and conference calls, I spent quite a lot of time speaking with partners at two leading law firms. This got me thinking about the direct correlation between the decline in professional fees and the antiquated billable hours model among most professional services firms. In this new millennium, most law firms are squarely stuck between a rock and a hard place. Even though their rainmakers are chartered with strategic growth planning, they are acting like Industrial Age relics. Imagine if you told your client “We cannot accommodate your needs because our computer system is inflexible.” How long would it take for you to go out of business? If you were that new client, what would be your perception of Law Firm B? Probably slightly more positive than Law Firm A. Law Firm C, on the other hand, sheds a ray of hope on this tectonic pricing shift among professional services firms. Eversheds, an international business law firm headquartered in the United Kingdom, is unique in its industry because they are known for delivering consistent service across 25 countries and 40 cities. Ten years ago, their clients expressed a need for a more sophisticated approach to rewarding their law firms. Their client has already reaped the rewards. This new pricing model has helped reduce the Tyco legal spend by 20-25%. Hopkins estimates that this equates to at least a $2M savings. * Do your homework. I am shocked at how many times seasoned professionals “wing it” before an important client discovery/exploratory call. They come across unprofessional and unprepared. • Remember that perceived value and the quality of the relationship are the basis of the fee, not the hours worked. Spend less time focusing your time on lowering the fees and more time tracking your client results. • Translate the importance of your services into the long term benefits and gains as perceived by the client. Stop basing your value on deliverables, versus measurable outcomes. These deliverables may be a design consultation, a workshop, a series of manager interviews, online assessments, or a coaching session. In reality, these are commodities. If you don’t believe me, use your web browser to search for “sales training.” See if you can differentiate between the twenty seven million search hits. • Believe that you really can deliver a high level of value to your client. The fees reach a level that equates to your level of self worth. Could Weiss be right when he says that consultants—not clients—are the main cause of low consulting fees? Mindsets around value can make or break your business growth. Consider these strategic growth mindsets as you interact with clients. Ask yourself whether your own personal definition of value might be the biggest wall you need to scale. How can we make hourly rates the mark of a bygone era, once and for all? 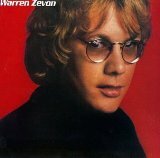 The ghost of Warren Zevon will smile upon us.